Catching a gap year prior college or higher education is an active tradition that’s emerging as a hefty trend among the students nowadays. Students across Australia, New Zealand and many other countries are already acclimated with this term. They have an active participation in the interesting gap year programs and activities by postponing their conventional academic courses for a while. Engaging in fruitful and captivating activities and to prepare their mind for coming academic projects is the latest vogue for the students. Taking a year off in between school, college and university is definitely a good step that can enhance the learning abilities of a student by rejuvenating the mind. A gap year can be described as a year’s interval or break intended to grasp a mellow and ripen perspective to devour the higher education. It is also known as sabbatical year. It doesn’t vitally need to be a year as a whole many students take only a semester off, while others can even catch 2 years off. Activities and courses offered in Gap Year programs? 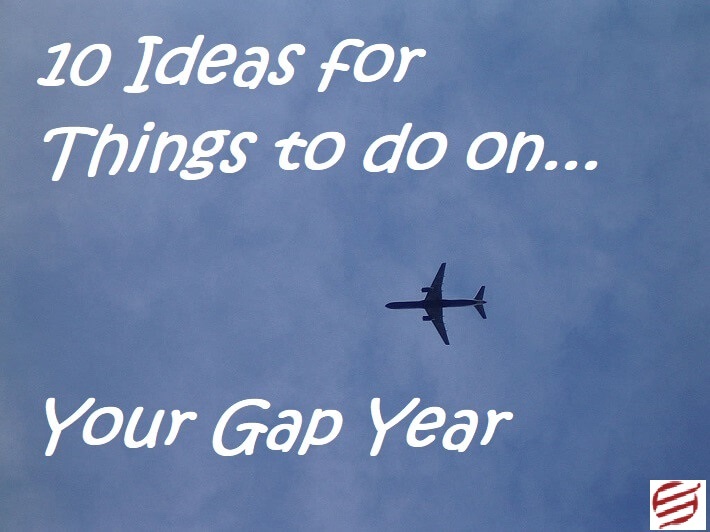 There are several organizations that cater interesting programs to organize a student’s gap year. There are many events and endeavors offered in such programs comprising activities like academic and non-academic courses, language classes, learning art and craft, volunteering work, cultural exchange programs, writing courses, internships, sports participation and much more. It has been observed that the students who indulge in activities in gap year tend to have improved academic results and active participation in academic tasks as compared to other students. Better Academic Performance – A small and interesting break never harms anybody. In fact taking a gap permits your mind to relax and perform better moving forward. One can positively enhance his/her take on education by keeping it away for a while. A year gap plays a hefty role in valuing or admiring the significance of education and academic tasks as well. Learning Outside The Classroom – It has always been a rewarding experience to grasp something prolific out of the door. There are times when your mind gets stuck over something and you cannot think anything fresh or creative despite making serious efforts. Travelling overseas to gain new skills surely helps a student to focus better. Work Acknowledgements And Certifications – Travelling overseas for a gap year experience yields you much more than fun and excitement. If you get yourself engaged in a non-academic job or work you can have the formal acknowledgements and certifications for the same along with income. It will be considered of a great value in next career path or can generate decent job opportunities. Enhanced And Embellished Friend Circle – During a year break or gap one can get a chance to know other students from different background and culture. This will not only help you to socialize but also gives friends for life in many cases. These friendships can also be converted into powerful links and contacts in long term. A Great Way To Explore Passion – There are many positive outcomes that a student can extract by taking a year gap. Discovering and exploring the hidden passion is among the splendid favors of a year gap. A student can totally indulge into the activities that serve them ecstasy and delight in this way they can explore their inner-self as well. Opportunity To Be Independent – Volunteering, travelling alone, money management are all the aspects tend to be sorted out by the student alone during his her overseas gap year. These aspects make him/her learn to grow more mature and independent. Fortuity to Refocus – There is no doubt that college life is hectic and stressful. So in order to relax a bit gap year provides you the ultimate satisfaction and positive vibes as jumping to the next academic voyage. It is crucial to assess your inner-self and career requirements as well. It has been in news that year gap is among the reasons why students lost their educational track but this is not anywhere near to the truth. A student understands his/her zone of requirements and level of rejuvenation. Year gap supports a student to have an edge over others. For further information over gap year or any other assignment assistance visit EssayCorp. We will be helping you with the excellent professional support that can surely boost your academic grades.